Need a ride? 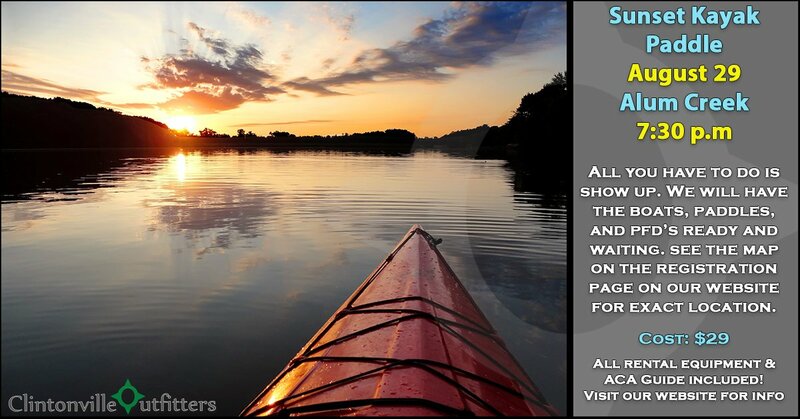 Meet us at Clintonville Outfitters at 6:00 p.m. and we will transport you in out 12 passenger Adventure Van! Just let us know you are riding with us by emailing erinsherrets@gmail.com. *Online registration closes 24 hours before event. Call the shop to see if there are any vacancies.